The Delaware Agritourism Trail was created to showcase over 25 working farms throughout Delaware. 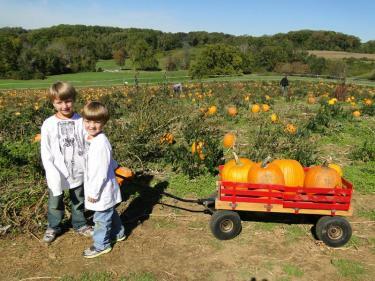 Each of the four unique destinations captured here can be found in New Castle County, Delaware’s northern most county and offer different types of farm experiences, but all are ideal destinations for fall family fun. Let&apos;s head out on the road and pay a visit to each of these four farms to see what they have in store for visitors. One of the most popular stops on The Delaware Agritourism Trail is Woodside Farm Creamery, which is about half an hour west of downtown Wilmington near the Pennsylvania border. 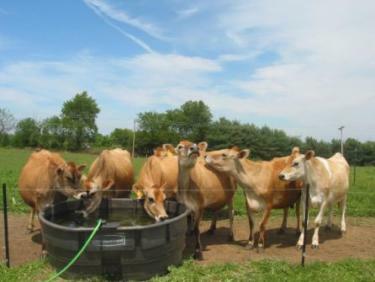 This fully functioning dairy farm has a track record dating all the way back to 1796, and today they have more than 30 Jersey cows producing milk for the creamery. With almost 30 flavors to choose from, ice cream is king at the creamery. People come from all over to stock up on their favorite flavors because they know that the ice cream here is always made in small batches with plenty of attention to detail. Woodside Farm Creamery is open from 12 pm to 8 pm daily throughout the fall months. 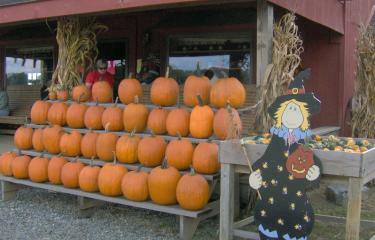 About 20 minutes north of Wilmington is Ramsey&apos;s Farm, which is where you will find an epic amount of family fun in their real life pumpkin patch as you search for the perfect pumpkin for carving. Other big attractions here include a gigantic corn maze and group hayrides. There is also pumpkin painting available for the kids on the weekends. The best time to visit Ramsey&apos;s Farm is on a Saturday or Sunday starting September 23 and running through the end of October. The farm fun kicks off at 10 am on each of those days and runs through 5 pm. 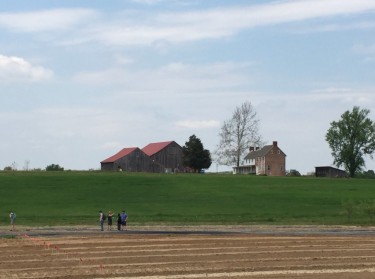 If you are looking for a fall farm experience that will take your breath away with beautiful scenery, then the Historic Penn Farm located in New Castle is the perfect destination. This was originally one of eleven farms that worked the land for the citizens of New Castle, and it is now cared for by the Trustees of New Castle. Today, the farm specializes in selling locally grown produce, and also hosts events in the beautifully renovated barn. You can visit the Farm Stand to purchase fresh produce on any Wednesday through Sunday this fall between the hours of 11 am and 3 pm. There aren&apos;t many activities that can create as many lasting memories as going out to get the family Christmas tree, and the place to do just that and more is Coleman&apos;s Christmas Tree farm, which is located about 40 minutes south of Wilmington. Coleman’s kicks off the fall season this year on September 30th with pumpkin picking, hay rides, fresh cider and an ice cream shop on premises that sells farm-fresh ice cream from the very same Woodside Farms mentioned above. Coleman’s also offers helicopter rides on weekends in October and December – a great way to see the area’s amazing fall foliage. The fun doesn’t stop there. Coleman’s Farm includes a gift shop with hundreds of reasonably priced gifts and tree ornaments. And from Thanksgiving to Christmas, Coleman&apos;s will be open to Christmas tree hunters seeking to cut down the perfect pine. The four farms mentioned above are just a small sampling of the family fun that can be had on the Delaware Agritourism Trail. For a complete list of family friendly farms throughout Delaware please visit the Delaware Department of Agriculture and VisitDelawareFarms.com. To plan your visit to Wilmington and the Brandywine Valley request a free Visitors Guide today or call 1-800-489-6664.